Knowhow acquisition is all around us. There is concetrated know how in books. There is whisdom in every single line of text; but there are books that move your views on the world. 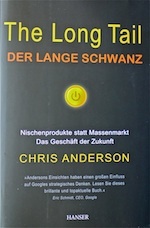 Chris Anderson, "The Long Tail"
The cover text brings it to the point: "What happens when all of a sudden an incredible mass of products and services become available to all? When suddently the value of all the millions of niche products are worth much more than the classic top-seller? Then the business rules will change tremendlessly." Anderson writes about the influence that the internet has on the global market, the worldwide trade and our behaviour. A standart already. Dietrich Dörner, „The logic of failure“, Strategic thinking in complex situations"
To my oppinion Dietrich Dörner is one of the living Genius of our time. His book "The logic of failure" is one of the best books about the structure of complex situations and the handling of those situations. It does not contain direct recipies but shows the most important elements of complex situations (interconnections, intransperancy, dynamics and multi-intentionality) Only when having understood the structure of comlexity one can establish successful strategies. Also the other book by Dörner "the mechanics of the soul wagon" and "blueprint of a soul" are very intersting to read but also much more complex to understand. 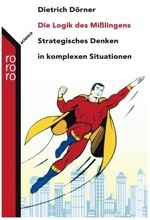 But that deeper look into the models of Dörner of our thinking are very helpful and are absolutely to be recommended. I think Dörner owes a place in the hall of fame of artificial intelligence. 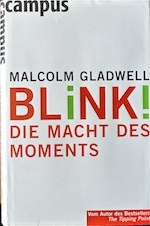 Malcolm Gladwell, „Blink, the Power of Thinking without Thinking"
It's a book about rapid cognition, about the kind of thinking that happens in a blink of an eye. When you meet someone for the first time, or walk into a house you are thinking of buying, or read the first few sentences of a book, your mind takes about two seconds to jump to a series of conclusions. Well, "Blink" is a book about those two seconds, because I think those instant conclusions that we reach are really powerful and really important and, occasionally, really good. Als As an engineer and musician Raymond Kurzweil was an ideal for me and many others. For those that do not know him yet, it is worth learn about his career and the things he has achieved. At a time when computers just begun to be commercially useful, he invented a machine the would read books to blind people. On his way to do so he had to make some innovation because those technologies did not exist yet at that time: Scanner, OCR-Software, Speech Recognition and Synthesis. Later on he was the father o the lengendary, polyphon synthesizer "Kurzweil K250". Later on he became professor at the MIT and started to think about development of technology in general and according the law of Moore. He found out that not only the processing power of todays computer was following that curve but every knowledge based development seems to follow that curve. 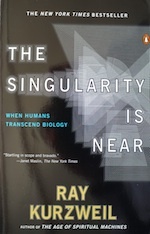 In his many books he presented ideas how the world would look in a few years. Many of them - he says 82% of them became reality! His last book "Transcend" is dealing with the medical development. The one bfore "The sungularity is near" seems to me best suited to get an overview of his thoughts. After having read one of his books you will almost certainly start asking yourself if your company is prepared for the change ahead of us. After we have seen the tremeneous influence that technology had in history. you will start wondering if you have enough technology competence in your company to be prepared to the change yet to come? Anyway get us in your team and you will have enough competence for the next big step. Wolfgang Mewes ist der Begründer der EKS-Lehre (Engpass konzentrierte Strategie oder Engero-Kybernetische Strategie. 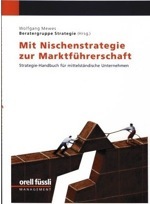 Schon zu Zeiten als die allgmeine Managementlehre Diversifikationsstrategien als das Nonplusultra verbreitete (70er Jahre), entwickelte Mewes eine Lehre der Konzentration auf den Minimumfaktor des Kunden. Die vielen mit dieser Strategie gross gewordenen Firmen zeugen davon, wie effizient und richtig seine Strategie war und ist. Inzwischen wurden die Rechte von EKS vom Malik Managementzentrum St.Gallen übernommen. Nun sind wir gespannt was daraus im Rahmen der Kybernetik-Strategie von Malik werden wird. Walter Burkhalter, "Das Geheimnis des Belimo Erfolges"
Als meine Vater begann, dieses Buch zu schreiben, habe ich nicht geahnt mit welcher Konsequenz er daran arbeiten würde; wieviel von seiner jahrzehnte langen Erfahrung er darin würde - in lesbarer Form - unterbringen können. Es ist ein in vielen Aspekten überraschendes Buch entstanden. 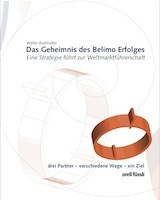 Es verknüpft die Entstehungsgeschichte der Firma Belimo und speziell die vielen Entscheidungen die getroffen werden mussten, mit der EKS-Strategie. Es ist meines Erachtens einzigartig, indem hier nicht im Nachhinein Erfolg zu erklären versucht wird (wie es die meisten Strategie Bücher tun müssen), sondern die Entstehungsgeschichte der Entscheidungen, die dann zum Erfolg führten, oder eben manchmal nicht, von Innen heraus beschrieben werden. Die Grundlagen der Entscheidungen und die Auseinandersetzungen damit im Verwaltungsrat werden detailiert dargelegt. Einzigartig und nicht nur für Insider der Belimo ein spannende und lehrreiche Lektüre.